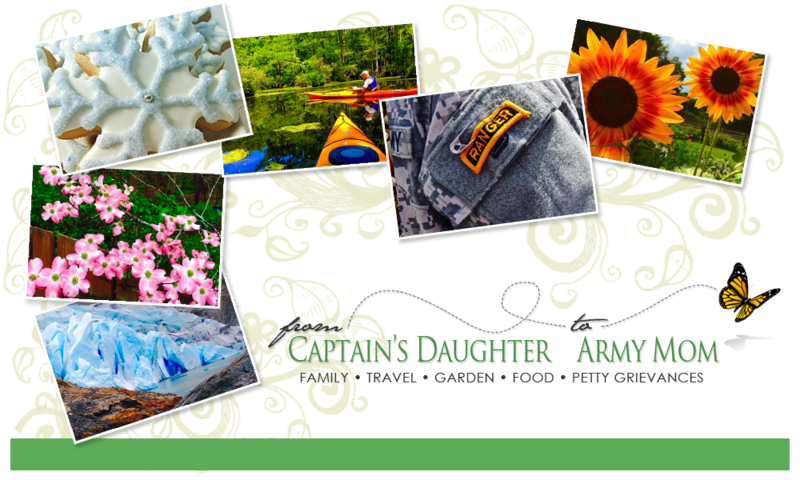 From Captain's Daughter to Army Mom: Olay Total Effects Color and Correcting (CC) Cream Review and Giveaway! Olay Total Effects Color and Correcting (CC) Cream Review and Giveaway! Contest Closed. Thank you for your wonderful feedback! your $25 Walmart gift card to you right away! Now, without making any reckless declarations about getting older my age being the culprit, I'm afraid the time has come to admit that the days when I could grab just any foundation and look amazing seem to be behind me. Although I am blessed with fantastically agreeable skin, I have noticed little things that never bothered me before, such as the appearance of fine creases, mild discoloration from sun damage and dryness suddenly seemed to be magnified by my usual foundation. So I did what I always do when something quits working, I stopped using it. It's true... Two years ago, I stopped wearing foundation altogether. Even to work! And, although no one seemed to notice, I missed not only the routine of putting on my make-up but also how I felt when I left the house knowing my skin looked flawless and was protected from the sun. For a while, I experimented with color correcting moisturizing foundations; however, after using four different kinds, I finally realized that it was the matte finish that bothered me. Despite claims of being luminizing, most rendered my features flat by erasing the natural shadows and highlights which are part of my facial landscape. So I went back to wearing no foundation at all. But that was then and, this is now... Because three weeks ago, I was asked to review Olay Total Effects CC Cream - And, my face loves it! I noticed a difference the first time I applied it! The dry areas below my hairline and eyes disappeared. And, the tiny lines around my smile, the ones where my usual foundation and other color correcting creams settle by 10AM, vanish the moment this beautifully light balm hits my face. All without erasing the natural texture of my complexion! This means less mannequin and more me... I like it! 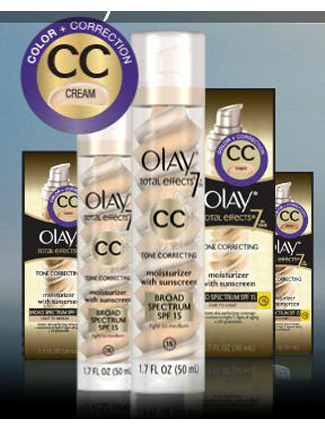 But the real proof that Olay's CC cream is different is in what I hear from others. Because when you're told twice in one day that you look refreshed or like you've just been for a facial, something magical is happening! Fortunately for you, Olay doesn't want me to keep this secret all to myself. Therefore, I'm passing along the $25.00 Walmart gift card I received to one of my readers so that you may experience Total Effects for yourself! The price point is very reasonable, especially for the quality of Olay and the benefits you're sure to experience. Plus, a tiny bit goes a very, very long way! To win, all you have to do is leave a comment letting me know which of the seven signs of aging challenges you the most. For extra entries, don't hesitate to follow Olay on Twitter, like them on Facebook or mention/Tweet this giveaway and then come back to let me know that you did. Winner will be announced on Thursday March 7th - Good Luck! All opinions about this product are my own. I received one complimentary Olay Total Effects 7 for review along with one $25 Walmart gift card, which will be awarded to one reader. Oh, Janet; it's the fine lines and sun spots for me, as well as having fair Irish skin that freckles and makes me look ill without some kind of color! If you say it works, I'll try it! Mine is (of course) age related. I use total effects (the spiraly one) and I LOVE it! I put it on with a make-up sponge and it works like a charm--it does not look like make-up. Definitely fine lines and wrinkles. Thanks for the chance. I stopped wearing foundation too because they all seemed to look cakey and the makeup would kinda "settle" into the fine lines/wrinkles that I have. I would LOVE to find something that would make me look fresh and natural. Thanks for the giveaway! 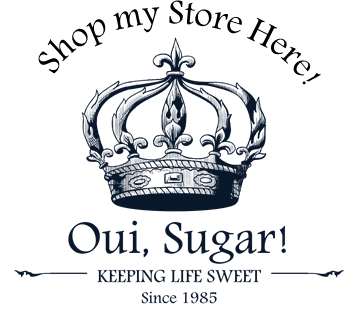 I started following Olay on Twitter @sharik11. And I started following them on FB. Thanks again! Yuck, dark circles under my eyes!! The ugly dark circles under my eyes! Unfortunately, I have fine lines and wrinkles. I like Olay on facebook. I have all the symptoms but definitely sun spots and uneven skin tones. Fine lines and wrinkles would be great to disappear! I followed/liked for all entries. Definitely dryness. This looks like a nice product, thanks for the opportunity! Dryness and finelines are my biggest challenges these days. Sounds like this is just the ticket for you. I'd like to give it a try too. The lines and age spots that are popping up. I would love to try this. Want to look fresh instead of haggered. I deal with the uneven tone. I struggle with dryness all the time! Thank you for the chance to win.